When your company starts to grow rapidly, things can start changing pretty darn fast. So how do you, as the leader or executive team, keep things under control? Strategic planning is the key according to Bob Bicksler as he shared during a lecture on what is necessary for managing a rapidly growing business at UNC Kenan-Flagler. Bob especially focused on the importance of the strategic planning session as a way for companies to anticipate and survive change. Based on his experience, strategic planning resulted in increase revenue and profits and enhanced employee morale. The caveat is that you have to do it right to reap the benefits of the process. So here are his recommendations. Have planning sessions off-site to avoid interruptions – Unless executives are forced to be away from their teams, they are likely to be interrupted by ’emergency’ phone calls and events. A successful planning session requires everyone’s undivided attention. Create an agenda and stick to it – Agenda’s guide the discussion and set the tone. If the team is allowed to go off topic too often or for too long, the planning sessions can easily be derailed. Have a strong leader to drive meeting so that the meetings don’t wander off topic too often – With many strong voices in one room, conversations can readily meander into unplanned topics. Allowing some off-topic conversations is healthy for building relationships, but endless discussion of unrelated topics, social or business-related, can waste time and result in less effective sessions. Create time for team building within planning session. Plan for a few days of intense work, with long days and nights, but be sure to include team building time. The strategic plan that is the outcome of the sessions requires the entire executive team to work together. Team building helps build those relationships. Goals developed in planning session should cascade down throughout the organization – All plans and goals developed during the planning session should be brought back to the company staff and cascaded down. We’ve all seen examples where goals are developed at the executive level that never trickled down to the staff, leaving everyone to wonder on the purpose of the planning session. The need for strategic planning sessions for a growing company was made quite clear during Bob’s presentation. He also strongly recommended that the strategic planning session be guided by the company mission, vision and values with metrics that are reviewed quarterly to ensure progress towards the goals. 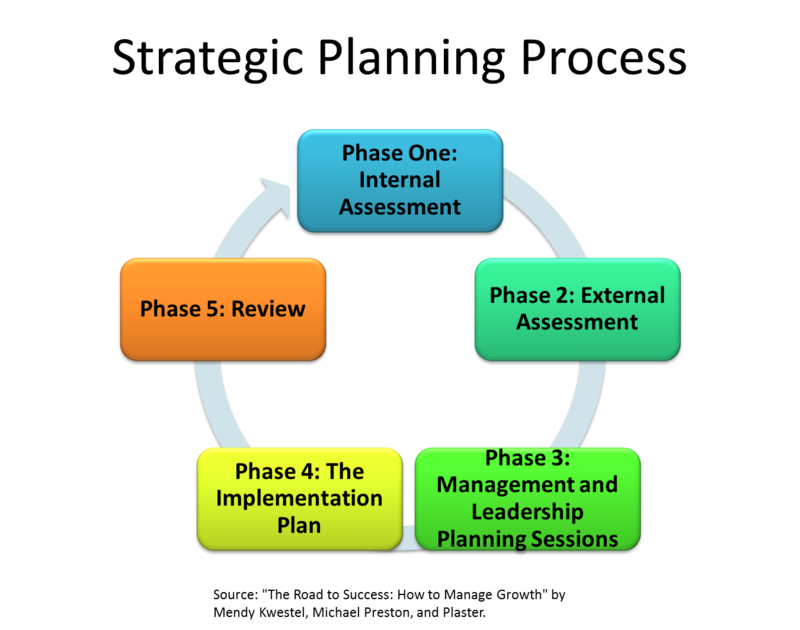 Strategic planning should be utilized as an ongoing process, not a single event. This entry was posted in Business Strategy, Company culture, Leadership and tagged Bob Bicksler, Business, Business strategy, Corporate strategy, leadership, Management, managing a growing business, Strategic Management, Strategic planning, Team building, the road to success. Bookmark the permalink.